4. 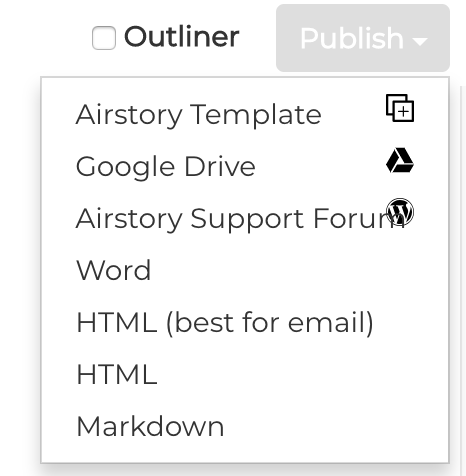 Follow the prompts of the destination platform in order to get your content out of Airstory. NB: If you delete your Airstory projects after you export them, you will delete all assets associated with that project, including notes. If you want to retain your project notes in the Airstory web clipper for future use do not delete your Airstory projects after exporting. Repeat these four steps to export the content from each of your project tabs to the desired destination.